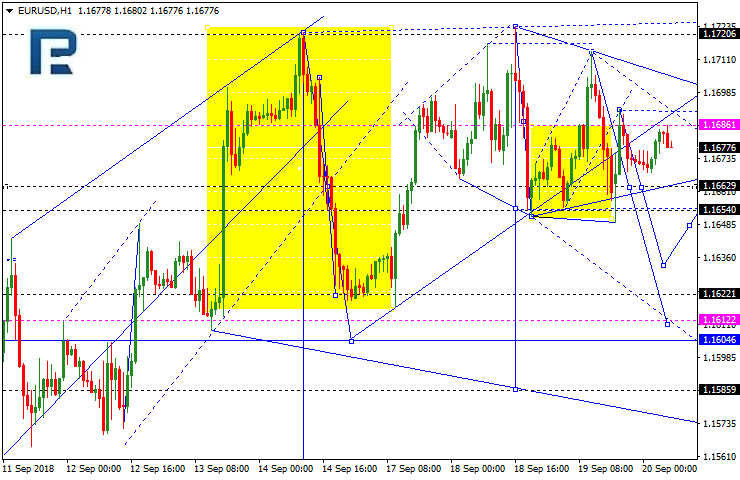 The EURUSD went down and then corrected. Today, it may go down again, to reach 1.1654. and then, once a breakout occurs, go further to 1.1616, which is going to be the first target. 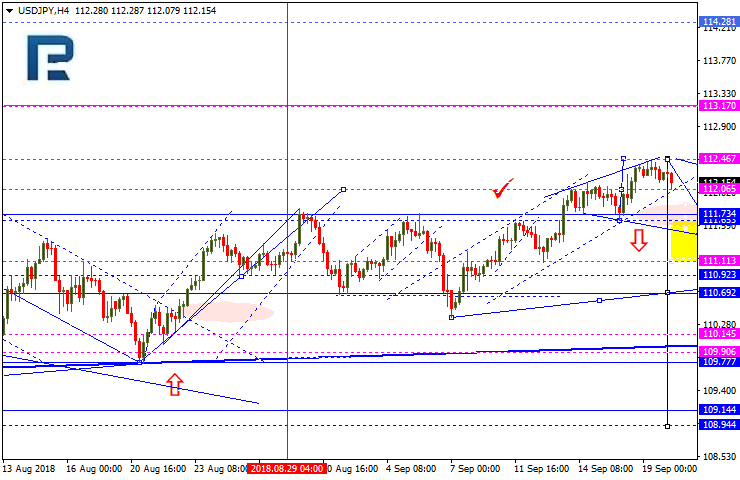 The GBPJPY is consolidating after around 1.3152 after going up. Today, it is likely to fall to 1.3100, and then, in case a breakout occurs, to go further to 1.2922, which looks like wave 5. 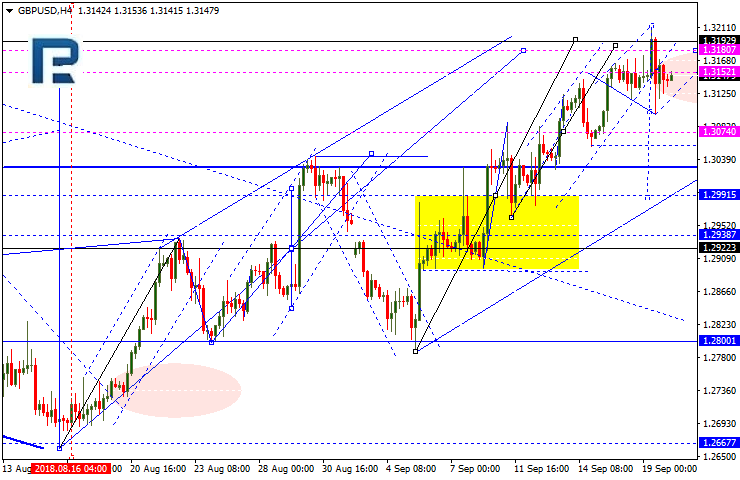 The first target is at 1.3050. 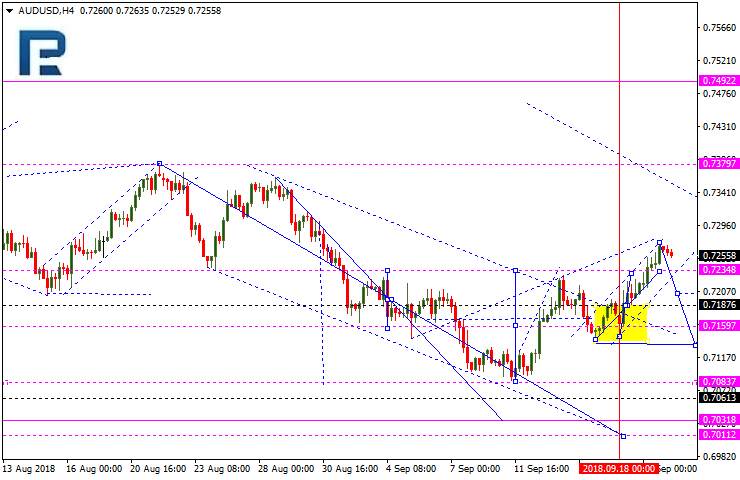 The USD/CHF reached its local target while rising, and then corrected. Today, a consolidation range above 0.9666 may form. In case a breakout occurs, the price may correct to 0.9650. 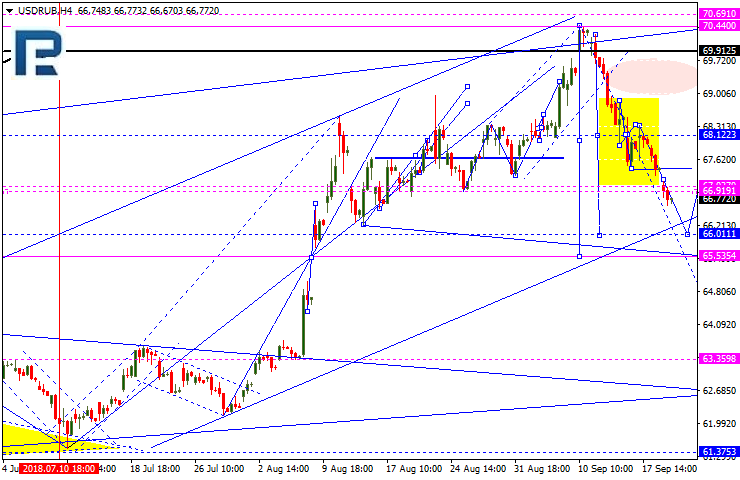 Conversely, if the price goes up, it may reach 0.9733 as wave 5. The pair is being pushed down, and once a breakout occurs, the price may start going down to 110.70, which is going to be the first target of a downtrend. The Aussie is trading inside a consolidation range near the high; today, wave 5 (correction) may occur, taking the pair to 0.7129. 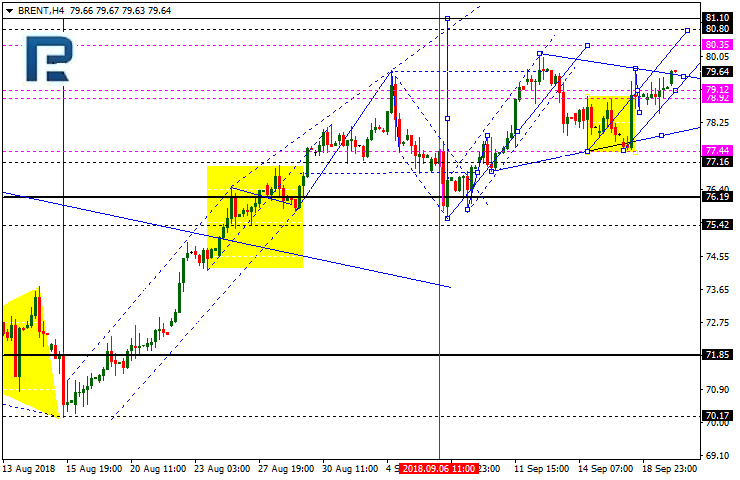 The pair is being pushed down, with the local target at 66.00. 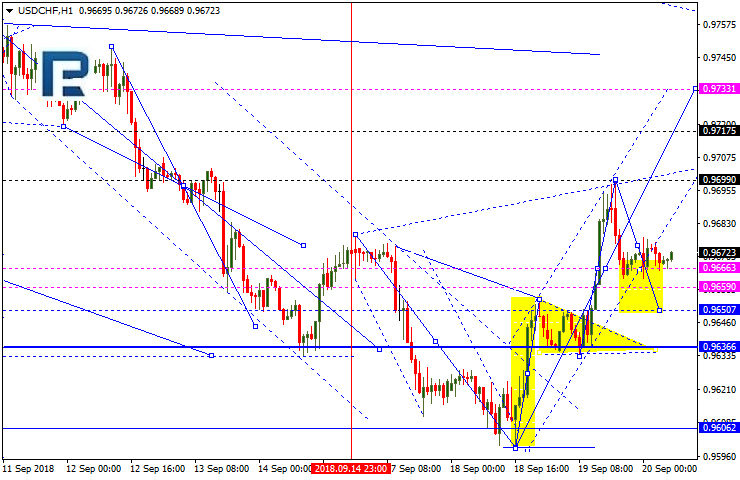 After that, it may go back to 68.00, and then go down to reach 65.65. The yellow metal is no longer consolidating, and might reach $1,208. However, a more likely scenario is going down and reaching $1,186.20. Brent crude is trading within a consolidation near $79.15. 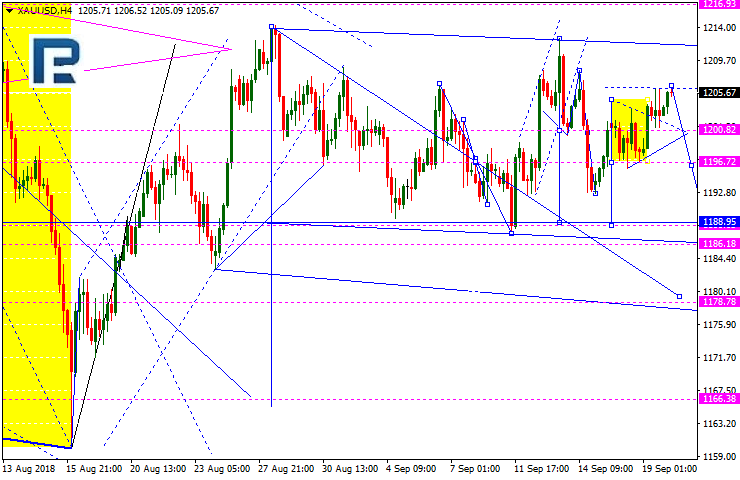 Today, the price is inside a rising pattern near the upper range boundary. If it continues rising, the price may go up towards $80.50; In case it breaks out the range and goes down, the price may correct to 78.00, but then again is likely to take $80.50.